There is only one thing more memorable then experiencing an exciting event, having a great collection of photo’s video or a party prop souvenir to enjoy over and over again, long after the event is over. Whether you are having a wedding, party or promotional event, you can rely on us to provide professional photo booth services. What a great way to add more excitement to your event. 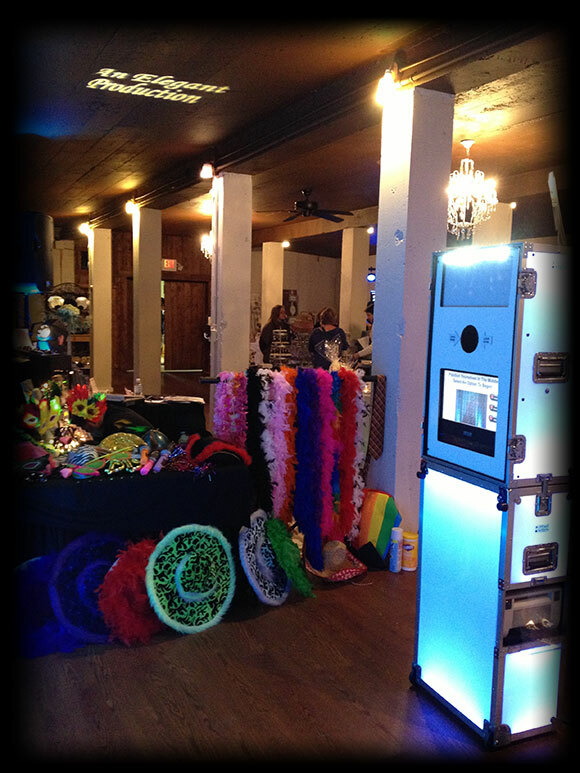 Our photo booths compliment your venue while adding hours of entertainment for you and your guests. They will want to stay longer have a great photos to take with them and rave about how much fun they had. We do not just drop of our photo booth at your event and set it up for you. We have an experienced attendent who not only knows how the photo booth works but is a fun motivator to get your guests to do as many pictures as possible and have a great time in the prosses. Our photo booth takes high resolution photo prints that can be put on a flash drive to be reprinted at any time. Why have a plain guest book, it’s so much better to have a fun photo scrap book of your guests photo's with their signature and words to you. 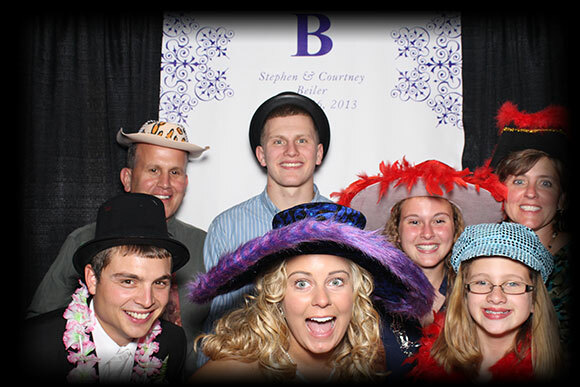 Add a photobooth to your event and watch your guests create lasting memories! Photo Scrap / Guest Signing book of all prints taken. - Our Party Prop Souvenirs will multiply the fun we have a very large assortment and packages to pick from. 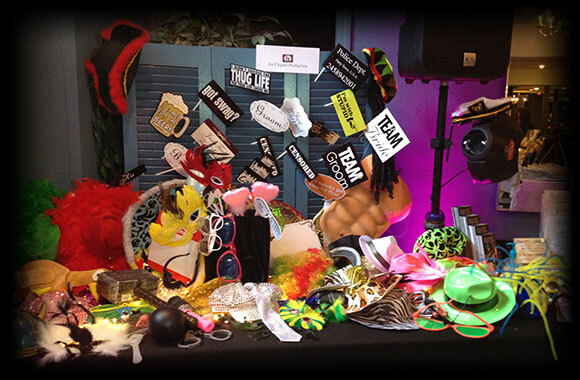 Our Party Souvenirs will multiply the fun and excitement of your event with our large variety of props. We have Hats, Sunglasses, Guitars, Saxophones, Maracas, Hawaiian Leis, Microphones, Glow Items, Light-Up Flowers, and many more items for your guests to keep! Includes 100 of our most popular items for your guest to have fun with and take home after your Event. Includes 200 of our most popular items for your guest to have fun with and take home after your Event. CALL (610) 554-4958 OR EMAIL US TODAY FOR A FREE CONSULTATION! It was nice working with you! The group was so happy with their party and we hope to work with you again in the future!